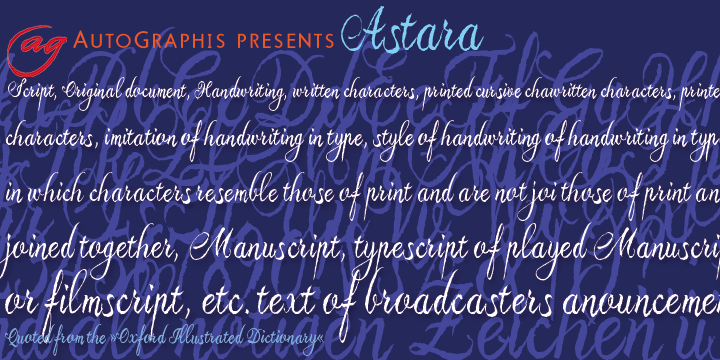 Astara can be defined as a decent swinging script. It looks graceful and works best in short headlines. The best thing about the typeface is the elegance it portrays when the lines overlap. The inscriptions smoothing into each other makes the font truly enigmatic.